Kids love to show their school pride with PJ Spirit Wear! New this Fall, baseball caps and compact umbrellas! We also have T-shirts, hoodies, and shorts. Please come by and see samples at the PJ Spirit Wear team table at the back of the school (under cover if it’s raining) every morning and afternoon this week. Stop by to get an idea of the look/feel and sizing. Adult sizes are available, in addition to the popular PJ umbrellas that most of you have likely seen on the playground. 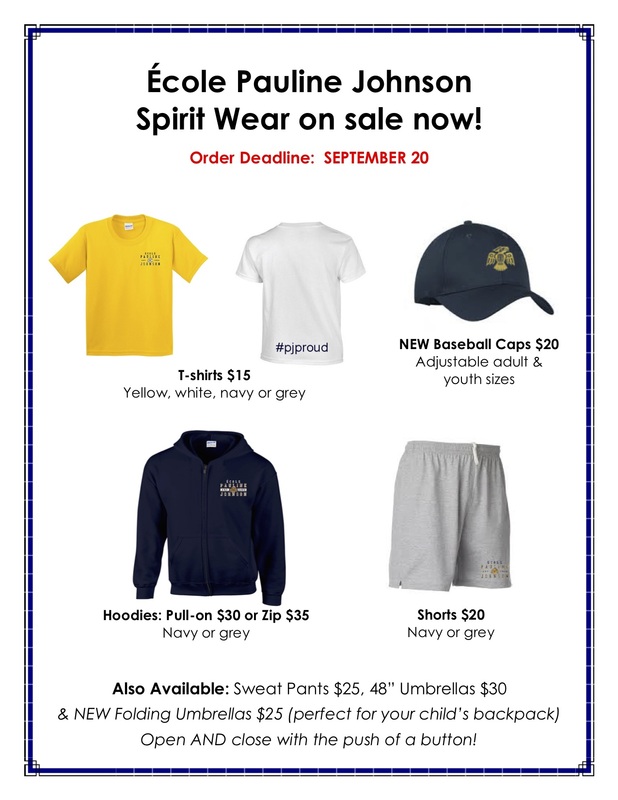 The deadline to order is Thursday, September 20. Order forms are available here. Thank you for supporting this PAC fundraiser and our PJ school spirit!